Words, words, words. If only Hamlet had access to OneNote... Did you know this strange looking code which is called a CAPTCHA prevents webmasters from spam? But did you also know that people are daily spending 500.000 minutes by filling in Captcha codes and that Luis von Ahn - the inventor of the Captcha made sure that it now helps in the process of digitalizing manuscripts? 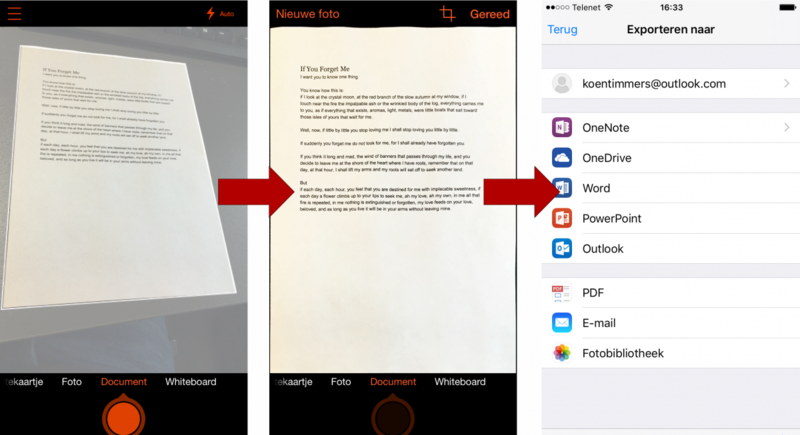 In this article I'd like to show you how OneNote and Office Lens - both free tools/apps - help you to convert images, voice and handwriting to text. Office Lens is a free app available for Windows Phone, Android and iPhone. Once installed it allows you to take a picture, convert this picture and bring this to OneNote. 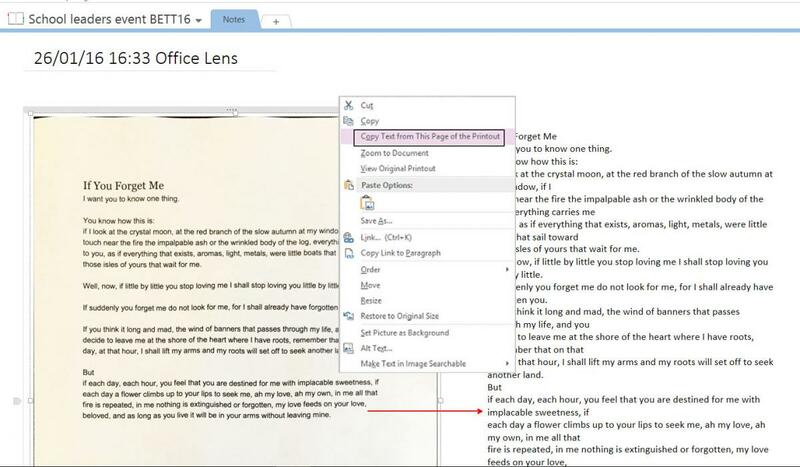 In OneNote you right-click this picture and choose "Copy Text from this Page of the Printout". Click somewhere in the page (or in other software like MS Word) and Paste the text. OneNote allows one to write with a pen or by mouse. The pen (surface) is a lot more interesting to write with though. Write some words, select this handwriting and hit the button Ink to Text. Your handwriting will be converted to editable text. Learning tools is a free OneNote addin. After installing the addin you'll discover a new tab in OneNote. Hit the button Dictate. You are now able to speak and your voice will be recorded and converted to editable text. Select the text. Hit the button Immersive Reader. Your text will appear in a new window. The font size will increase. Hit the button Play in the bottom. Your text will be read aloud. The interesting part is that the search box of OneNote allows to search text, handwriting and images.